Adult behavior modification is the method of changing the way an adult reacts either physically or mentally to a given stimulus. In this case, dissatisfaction of a national awards medal issue. This process can be applied to anything from stopping a drug addiction to making your bed each morning. Behavior modification is a treatment method, and it is based on the values of operant conditioning. The undesirable behaviors are exchanged with more suitable ones through various techniques and methods. B.F. Skinner, the father of behavior modification science, conducted scientific research in the 1950s that involved training rats through rewards and punishments. Then, Is it possible for the Down Syndrome Family Network of Trinidad & Tobago to adopt an all-inclusive program to train individual affected by disabilities to achieve a degree of accomplishment. 2. Chaconia versus Humming bird medals. 3. Defending “the normal vs the Disabled”. In the end there is need for understanding of the issues and a need to do something to help develop a viable systemic environment to nourish conversations. The President of the Down Syndrome Family Network has an arguable point. If we view each athletic competition as involving rivalry among peers then there is an argument to afford similar accolades to each outcome. While discriminating among levels of performance can be accepted among categories which are based on age or developing competencies, this discrimination should not be entertained among (for want of a better term) the highest category. Is a man’s Gold Medal better than a woman’s Gold Medal? Then by the same token should therefore attract higher rewards? This is the position from which a para athlete’s Gold Medal should be assessed. Even without considering the attendant World Record, this is the best in the world among peers in a particular category. Putting any emotions and prejudices aside, the question which raises its head is whether the Para Olympic Games carry as much prestige as The World Games. Therein lies the differentiation. Adults fight; Children observe helplessly and that hurts in unbelievable ways at different stages of life. it’s because you haven’t learn anything”. Therefore, Adults should not plant that kind of seed when they cannot foresee its growth. Learning style is an individual's unique approach to learning based on strengths, weaknesses, and preferences. Dictionary.com's 21st Century Lexicon. Copyright © 2003-2014 Dictionary.com, LLC. We as a people have different learning styles . We can learn from the experiences of others. Instead of disagreeing over trivial things like a medal. Do something that would bring joy and happiness to others. Follow the line from a Jamaican point of view. Permission has been granted by the Jamaican “Observer Newspaper” to reprint this article . This is “a gift of ideas from Jamaica”.An unselfish global thought.I thank the Jamaicans for this goodwill gesture . Beyond running a personal best time or getting painted in the 'Fun Zone', participants in the 2017 Digicel 5K will also be making a big investment in Special Olympics Jamaica (SOJ). The sporting organisation stands to benefit once again from a share of the contribution for the annual race. Several development programs, including the Digicel NBA Jumpstart Basketball Camp at G C Foster College in August. It helped to prepare 60 boys and girls for the 2019 Special Olympics World Summer Games in Abu Dhabi, United Arab Emirates. The athletes' performances have resulted in their growing confidence in several sporting arenas. Through funds received from the 2016 Digicel Foundation 5K, SOJ sent 25 athletes to the World Winter Games in Austria in March this year. They won three gold medals, one silver, and one bronze — Jamaica's biggest medals haul at the Winter Games. SOJ's hectic year is not over yet. From November 3-4, the sporting body will conduct training and screening of 60 under-12 athletes from Manchester and St Elizabeth at Treasure Beach Sports Park. The Special Olympics' unified and under-15 teams will also compete in the annual football competition. “We are so thankful to Digicel Foundation,” said Lorna Bell, executive director of SOJ. The Digicel Foundation will be hosting its sixth annual run on Saturdayin downtown Kingston. Persons can sign up at running events ja.com. Should The Sports Company be abolished and replaced by a sports commission? The Sports Company is classified as “A Special Purpose Organization”; this means that it can be dissolved at any time without notice or explanation by the Government in power. The IAAF and the IOC mandate policy of Non-Governmental Interferences in the Sporting business of their affiliates. This is clear! Why then wouldn’t the government want to own a sports company, when this is a business enterprise? The opportunities provided for the possible fueling of funds in a non-monitored partnership relations. 1. The government as the sole sponsor of the sports company. 2. The Minister of Sports said: The Ministry of Sports will show its affiliates how to conduct sporting affairs. Is there the possibility of seamlessly melding two postural positions? Recent statements by the Minister of Sports leaves a lot to be desired. From this We ask: Should a Government have a vision for Sport development in this country? If "Yes”; Then; how would this policy be developed to be in compliance with the IAAF and IOC mandate of Non –Governmental Interference? Have successfully set a direction for all governments, institutions and organizations to make sure sport has a positive impact on the lives of their nationals, their communities and their country. They are exemplary! These organizations act Independently of Government and are held accountable and responsible for developing and implementing national policy for sport in their country. Should they discontinue their commitment to develop sports in their country and ultimately change the behavior of other believers? However,Government Participation in Sport is paramount; the private and not-for-profit sectors also provide programs and funding that support participation and excellence in sport. 1. Step 1: Identify the Need for a Policy. 2. Step 2: Determine Policy Content. 3. Step 3: Obtain Stakeholder Support. 4. Step 4: Communicate with Employees. 5. Step 5: Update and Revise the Policy. The government is not an affiliate member of the IAAF or the IOC. When the government assumes the role of Chef-de Mission it is in direct conflict with the IAAF/IOC principles. The IAAF clearly defines its role in and vision for developing athletics across the world. The IAAF invests more than $12 million annually in its development program. In addition, the IAAF works closely with other agencies throughout the world involved in developmental activities. The IOC supports the TTOC Athletics with Solidarity funding. The Puma ,The NGO,The Sagicor INS CO Supports the NAAA. 1. Is to further the development of athletics everywhere. 2. To develop the role, vision and values in quality delivery of the IAAF. 3. To support and demonstrate the Importance of Vision Development through the eyes of the IAAF. 4. To professionalize the vision as an extraordinary large role in the overall development of international sport. That's the dilemma created by this flamboyant postural position of the Government to drain funding from the National Monetary Coffers at the Ministry of Finance. After the administrative blunders in mismanagement by the Board of Directors, the Government is not in a position to articulate a vision for Sport in Trinidad & Tobago . Should this be fleshed out by the Ministry of Sport? The Sport Ministry of Sport has no legal authority to stand on if challenged. In such a situation should there be a Strategic Business Plan Outline? Strategic planning is important to an organization because it provides a sense of direction and outlines measurable goals. Strategic planning is a tool that is useful for guiding day-to-day decisions and also for evaluating progress and changing approaches when moving forward. 11. Institution of a monitoring and Evaluation system. Should the SPORT Commission establish a research division to investigate technology systems best practices at Local and international level? The Sports Commission should establish a Research Center for Information Technology in corporation with the University of the West Indies. Its task is to provide its affiliates, its sponsors and the public domain with the latest research findings in sports information technology. Is the Trinidad & Tobago Sportts Company’s Mission Statement questionable and dysfunctional? The Sports Company of Trinidad and Tobago Ltd. is the key sport implementation agency for the Ministry of Sport & Youth Affairs - its major stakeholder. The two entities have the overall responsibility for the implementation of the goals and the objectives of the National Sport Policy. The mission statement is to enrich our lives through total participation and quality training and excellence in sport. Sports Organizations in Trinidad & Tobago appear to live in a world with administrative issues. Contributing organizations: The NAAA, TTFA, TTCF, TTCF, TTGA. “We like it so”, “such is the norm in T&T” these assumed cultural behavior creates a need for disambiguation outside this box; the only assurance is that carnival will be held next year to subliminally ease the pain. They co-exist with: firings, hirings, resignations. Legal actions, wrongful dismissals, nepotism, act of attrition, political impositions and resignations to a state of stoicism. The Trinidad Tobago Sportt Company has a recorded performance history of the dismissal of Five CEO”S in Six Years. All disappeared without some reasonable form of explanation. All CEO’s leaving the Company with no known or apparent motive, or basis for their departure. Defensible speculations surfaced suggests: behaviors of non-compliance, possible acts of attrition. Or just pure tribalism based on kleptocractic principles. The functional application projecting justifiable options of action, for the eviction process was the emotive position; “to spend more time with my family”. This is nothing short of a euphemism for “I cannot handle the situation any more”. “I fed up with dem” They become unresponsive language witnesses to the truth. Is there an apparent infestation behavioral performance issue here? Should the sports company be abolished? • Shared Values necessary to Achieve Excellence. • Working together to achieve common goals. • Following the rules of engagement. • Proper sports management initiatives and accountability. • Shaping the future of national sport. Re-affirmation of trust in the narrative for the public domain? The purpose of the Code of Ethics is to outline what is expected in order to maintain a professional and ethical workplace with high standards of best business practice values that will lead to a successful future for all nationals engaged in the development of sports in Trinidad & Tobago. Should there be questions or feelings of uncertainty about non-compliance with anything stated in the Code of Ethics? Should he or she be encouraged to render an opinion without prejudice or fear of victimization by the Ethics Compliance Executive? After all, the purpose of the Executive appointed is to address ethical issues that may arise at the company. As employees of the Sports Company, should they not only be obligated to perform their jobs to the best of their competences, but should also have an ongoing obligation to properly conduct the mandate of the national portfolio, and to represent the sporting community within the level of professional dimensions? The existing Sports Company has demonstrated symptoms of failure. Its track record shows the functional operations are not Consistent with good Sports Management Governance. The Sports Company is a Government sponsored non-profit Sport Organization. It has been owned and operated by the existing State Government Legislature in power. Because of this umbilical affiliation with the Government in power It has become a national liability. Trump would say it is “a national disaster.” There are too many welfare recipient beneficiaries added to the state through this gangrene infected appendage. It is imperative therefore, that the Sports Company be eliminated and replace by an Independent Sports Commission to conduct the affairs of sports in Trinidad and Tobago. would the establishment of a Code of Ethics and its application require a clearly defined mandate? In light of an ongoing obligation to operate in a sound economical and efficient manner. Would having outside business interest while serving Governmental interest lives in the arena to generated possible conflicts of interest? If so, then, would not this situation demands definitive and decisive action by the state to abort the Sports Company from its functional operations? Looking forward, would the disbandment of the Sports Company have the potential for great accomplishments at the national, regional and international arena? If replaced by a Sports Commission? This podium would accentuate a sustainable solution for sports development in Trinidad and Tobago. The line challenge is the development of sports throughout the national infrastructure. WASHINGTON/NEW YORK, Aug 16 (Reuters) - U.S.
President Donald Trump disbanded two high-profile business advisory councils on Wednesday after corporate CEOs quit in protest at his remarks blaming violence in Charlottesville, Virginia, not only on white nationalists but also on the protesters who opposed them. Is there parallel behavior characteristics here or just impenetrable food for thought? Either way; there is argumentation and rhetoric! Olympian/Former Sports Administrator NYC Board of Education. Whether the government gets to decide the direction of the sports company? The nomination of a CEO of Trinidad & Tobago’s sport company claimed the heads of five successive chief executives in six years. For most of this decade, the sport company has been unsure of its role and goals, while top managers spent much of their time fighting off internal challenges or legal troubles, and were thus unable to set and implement an overreaching strategy for the company and its semi-autonomous subsidiaries. What Does the Future Hold for the T&T Sports Company if it is to become efficient, effective and economically independent? Hire or employ leaders with proven track record and with international experience to include the proven demonstrative ability to manage very complex corporate situations. Development of an entity to reduce dept and return a profit. Create a business plan with the ability to attract investors, shareholders and stakeholders. Five CEOs in six years is a lot for any company, and worse for Trinidad & Tobago Sport Company, because each tried to take the company in different directions without a plan. The CEO’s have been appointed with a clear mandate to clean up the company. This sparked off a long bout of infighting whose effects are still felt today. The CEO is brought in as a new broom. The Board of Directors is acting under the influence of the Minister of Sports. They fired much of the company’s top staff, replacing them with employees having little knowledge of the company, its purpose and function, or marketing its brand; to monitor or slashed costs, and absorbed its largely autonomous subsidiaries into a new “one company” to better directly control them. Since there is no a business operative or understanding of a strategic plan, success in reducing costs and debt becomes mute. Therefore the company has to be restructured. It must become a business entity. It must engage in marketing and sales efforts, cut back on senseless expenditure and encourage investments. 2. The Sportt Company is a governmental, non-profit sport organization that, from 2004 to 2017,has been owned and operated by the existing government in power. 3. Minister of Sport Darryl Smith said the Ministry of Sport will set the example for the Sportt Company of Trinidad and Tobago (SporTT) and national sporting organizations (NSOs) in how to conduct their affairs. 4. The Sportt Board reports to the Minister of Sport. 5. The Board is appointed by the Cabinet. 6. The line Ministry is the Ministry of Sport. 7. They also report to the Ministry of Finance Investment Division. 8. They also fall under the Company’s Act. 9. Cricketer Dinanath Ramnarine nominated by the government as CEO of the state-controlled sport company. 10.The Sport Company has faced shake-up after shake-up, switching out 11 CEOs in 10 years and four chairmen in just two and a half. The three are interlinked, and none can make much progress without the others. Importantly however, is demographics of participants and spectators. The limited knowledge and experience of the corporate executives to now manage “international experience and his ability to manage very complex corporate situations” must be seriously considered. This performance based management style that most of the departed personnel and the current staff as exist now lack. The Sportt Company has to learn to reduce debt and returned some form of profit. Its revenues and orders must both have concern. Observers note that the company has not done much to pursue investment markets, despite the fact that the budgets are growing very fast, and expenditures keep increasing. The caretakers of the Company have got to learn to negotiate with a positive narrative assertion. Need further reassuring about the Sport Company’s future strategy. The ultimate decision, however, rests with the Trinidad and Tobago government, which controls the company by virtue of its total revenue shareholding. The government must now decide whether it wants to be a competitive, world-class technology group, or whether it simply wants to be known as having the best facilities in the Caribbean without a single clue about sports management policies and principles for future investments. These positions are mutually exclusive, and require very different levels of investment and political support. The Government of Trinidad & Tobago, however, frequent the change of CEOs, in a faulty system is responsible for appointments. The hiring and firing by a different Government, each with its own agenda policy or lack thereof, leads to little stability, continuity, and data based management decisions making of long-term strategic planning difficult to implement. The government also needs to consider separation from the Sportt Company and decide whether they should continue to be the sole sponsor or whether it should simply continue to support a gangrene appendage. Major decisions are imperative about how to effectively market the company’s brand. Notice must be paid to cataclysms by top Executives, united with the lack of clear directives by executives, who do not know the business of sports management outside the parameters of the primary school recess playground and period would not be invigorating. AT the end of the day; the Trinidad & Tobago Government gets to decide the direction of the sports company? 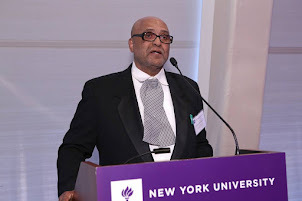 Dr. Cliff Bertrand shares his Insights on Track & Field Sports, and Education, having been a Trinidad & Tobago Olympian, and a New York City School Administrator. "Empower with Art". Awesome Inc. theme. Powered by Blogger.